St John’s is pleased to announce that, due to demand, we are expanding our Bus Routes from the beginning of 2018.Our St John’s bus runs will now cover areas to the west such as Ipswich, Flinders View, Augustine Heights and Brookwater and suburbs to the north west; Kenmore, Chapel Hill and Fig Tree Pocket. Recently accredited, St John’s is now an International Baccalaureate New World School and our teachers are very excited to bring this internationally recognised program to our students. Our families are very excited about the new programs in academic, sporting and performing arts on offer at St John’s and the confident and courageous young people our exceptional teachers are developing. Your child can learn to think critically and creatively, develop innovative solutions to local and world problems, join the elite TAS coeducational sporting competition to further their passion for sport or confidently perform on stage in our outstanding newly completed Performing Arts Centre. We work with students to help them to develop resilience, empathy and cultural understandings through our highly regarded outdoor education and service learning programs. 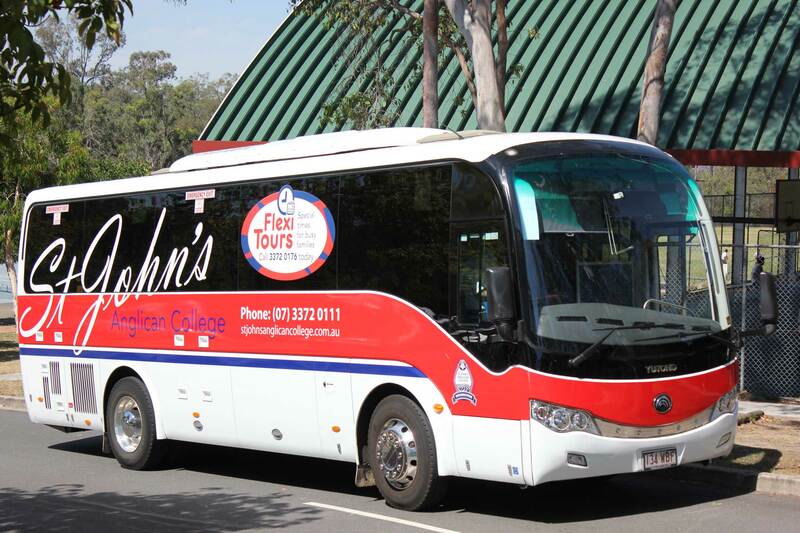 Our expanded bus routes using St John’s College own buses will commence new routes north and west of the College. Comfortable, safe and personalised bus routes providing convenience for our families have been developed. Our late buses after extracurricular activities or after-school tutoring also depart at 5.00pm bringing your child safely home at the end of the day.